If you're currently undergoing orthodontic treatment, you're no doubt looking forward to the day your braces come off. But that won't end your treatment just yet — you'll need to wear a retainer. Teeth are held secure in the bone of the jaw by an elastic tissue known as the periodontal ligament. As the braces “pull” the teeth to their new position, the ligament stretches and the bone remodels around the teeth. But the ligament also has a tendency to rebound as the tension eases when the braces are removed. The teeth could then return to their original position, especially during the first few months. To prevent this patients wear an orthodontic appliance known as a retainer. It maintains some of the tension once supplied by the braces to help keep or “retain” the teeth in their new position. Depending on your age and other factors, you'll have to wear one for at least eighteen months; some patients, especially adults, may have to wear one indefinitely. You may be familiar with a removable retainer, one you can take in and out of your mouth. But there's another type called a bonded retainer that's fixed to the teeth and can only be removed by a dentist. With this retainer a dentist bonds a thin piece of wire to the back of the teeth where it can't be seen. You can feel it, though, with the tongue: an unusual sensation at first, but one easily grown accustomed to. 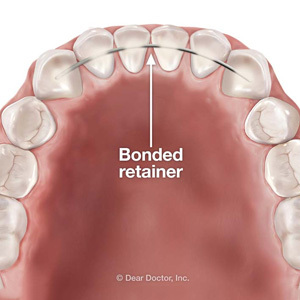 Unlike their removable counterparts, bonded retainers aren't noticeable, either to others or the wearer. 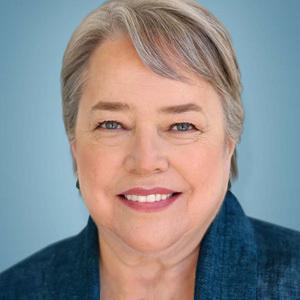 They're especially appropriate for patients who may not be as diligent in wearing a removable retainer. It does, though, have some disadvantages. The position of the wire running horizontally across several teeth can make flossing difficult. And as with any retainer, removing it could increase the risk of the teeth moving out of alignment. There are a number of factors to discuss with your orthodontist about which type of retainer is best for your situation. If you do choose a bonded retainer, be sure you work with the dental hygienist on how best to floss the affected teeth. And if you do have it removed, have a removable retainer prepared so you can preserve that smile you've invested so much into obtaining. If you would like more information on bonded retainers following braces, please contact us or schedule an appointment for a consultation.